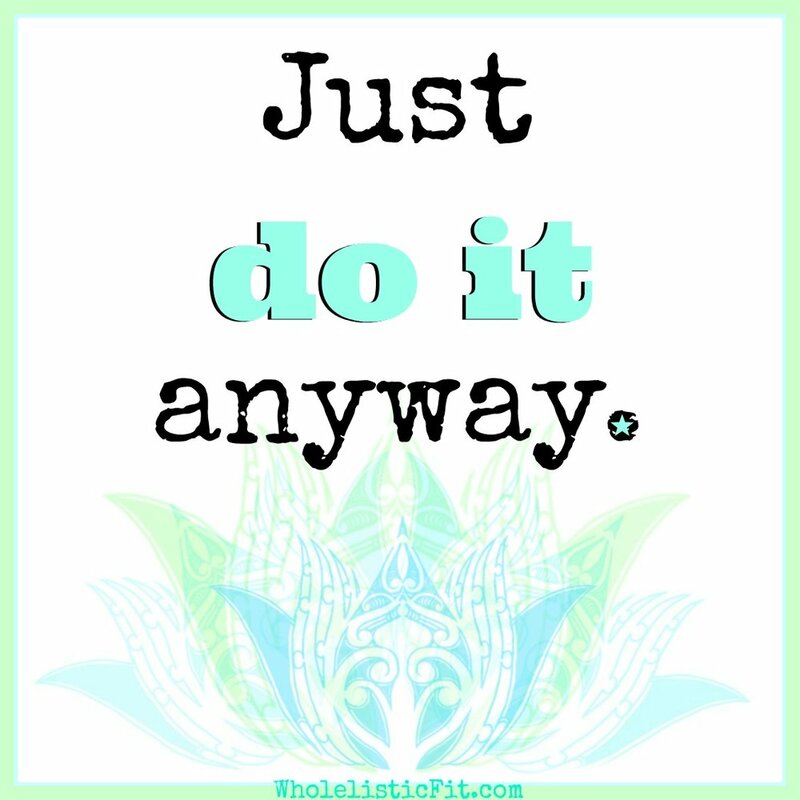 Don’t wait for permission to get your life, health & wealth in order. Get out there & be MERMAZING. Excuses and doubt happen but it shouldn't become a defining factor. TIP 1: Allow excuses to pass through you. Notice it but never let it make decisions for you. Let it pass. This blogpost is dedicated to every woman who pushed her self-care or self-respect aside, trying to help others. Get excited, keep reading & if this helped you then share it with a few friends. Stop trying to heal the world. Start healing yourself and the world will take notice. Start with YOU. Because if you're like me, we've seen the headlines and feel the hurt. Our first reaction is sorrow and maybe hopelessness. Sometimes we stop moving all together because we're chained by sadness. But that's when you use your WHAT to refocus and stay in motion. What positive change will you create? What do you need to make that change? Be a “DO-ER” or take action on one thing today. Energize your fit schedule with an emotional connection to wellness. Develop a deep and rooted WHY into every squat, plank and burpee. Commit to yourself & make the extra effort. Do what the average person wouldn't. Stay consistent, persevere and believe in the process. Speaking of process, I was talking to my sister, fellow ZIN, about our goals. She used the term, "the G-d process!" Which I understand as the willingness to have faith and keep moving forward. It’s the ability to believe that good-things are meant to happen to you. Your WHY will keep you grounded as you walk bravely on. Wealth is abundance in the mind, body & soul. TIP 3: Your thoughts impact your life. Guard them & find a source of daily inspiration. I shared in TIP #2 a few “WHAT” questions that will help you create a focused vision board. After reading this blog, and sharing the link [wink, wink] take time to answer the questions. Then look for pictures or words that resonate with your answers. Below are some of my previous focused vision boards. PS: I really have to get back into my eNewsletters. Here’s a few of the projects that I’m currently working on. More often then not there’s questions, wonderment & even concern, but often we hear judgement. Take fitness classes for instance; you start off strong and somewhere in the middle a distraction pops up then you stop. You want to go to class but you’re concerned about what others will say or think about you. Why do we assume the worst? Honestly… what’s wrong with our brain? Are we self-sabotaging? Now that we’ve cleared the path, by identifying the clutter [stink’n think’n], let’s dive into the title of this blog. So if you’ve ever set a goal and failed, no worries, because this is how to re-start after a break. I am open to receiving good things into my life. Good things are meant to happen to me. From self-talk to nay-sayers, just ignore them. In my eBook, Walk In Beauty, I share strategies to help you realign and re-fresh your thoughts. TIP: Create a Pinterest board with positive words and quotes. Commit to reading them daily. Here’s an example. Sitting still in negative thoughts is counterintuitive to reaching goals. So if you have a desire to tone-up, sitting in a pool of failed attempts will not serve you. TIP: Write down several reasons as to WHY you’re glad to re-start a project or fitness challenge. Post it on your fridge and read it daily. How many times has it rained, stormed and thundered? Yet a tiny seed finds a home then sprouts a leaf. Nature has to overcome human occupation and it never relents. Mother Nature is an amazing resource of strength. TIP: Grab a planner, I use a Make Mahalo Planner, then head outdoors. Feel the sun, breeze or raindrop on your skin and create a plan-of-action. We mistake failures for death. We fail and assume that the dream or goal is dead. Often sweeping it under the rug of unfulfilled ideas. However, life goes on. A failed attempt is just a minor set back. TIP: Adjust your plan and swap your schedule around. Make TIME, don’t wait for TIME. Because TIME is eternal, it never ends. Fortunately each of the five areas mentioned come from the, “5 Realms Of Beauty” a teaching format which is written into Walk In Beauty. There are so many details that would not fit in a blogpost, which is why I wrote the eBook. Also, if you purchase the eBook it comes with printable[s] for every chapter. It’s sort of a workbook/manual to guide you on your journey. Keep looking up, things will get better. Mahalo for reading and please share this post with someone you care about. Let’s build a fit community together. What can we learn from nature? After all we are the masters of this planet! However sickness is on the rise, mental illness is growing rapidly and many things are left untreated or misdiagnosed. So what can we learn from nature? Have you ever watched a caterpillar or millipede in wonderment? All those tiny legs moving in unity. Perhaps you fell victim to the lull of a flowing stream and stared aimlessly. Either way nature is calling for you to observe and learn how to WALK IN BEAUTY. To learn more about NATURE'S ability to teach us, check out chapter 9 & 10 in my eBook, "Walk In Beauty." Click here. Canned Salmon (made by my friend) resting on a bed of Kale. No seasoning required. Steamed Sweet Potato with Furikake seasoning and Sesttle's Theo Chocolate. 70% cacao. Why MLMs are not holistic. 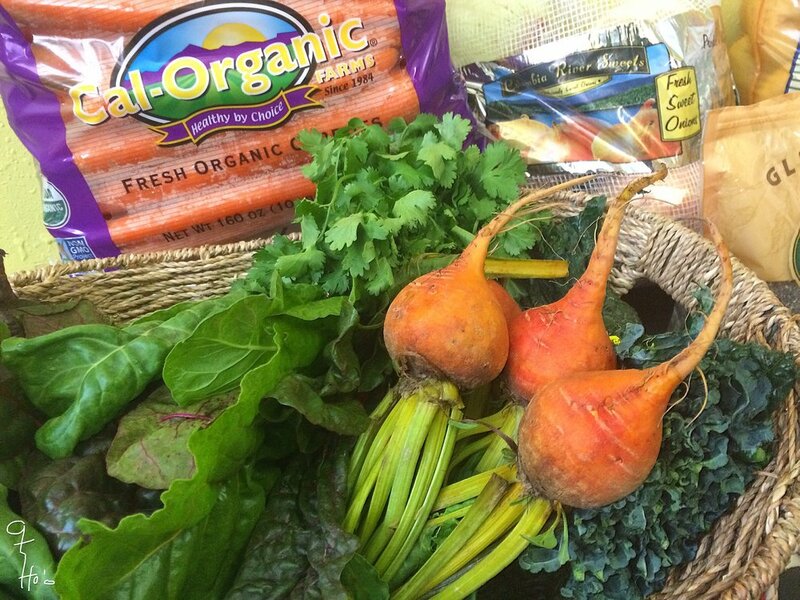 Natural, organic and holistic are buzzwords. What I'm trying to say is if a company slaps on any of those titles people buy. I've noticed a lot of distributors, people who enroll for an MLM & sell or enroll others, claiming that their company is HOLISTIC. Hmmm... do they know what holistic means? First of all, I've been a part of a nutritional MLM since 2002. I didn't sell my family or friends up the river, I bought it because I liked it & some of them, my Ohana, did too. My purpose is to share why MLM's aren't holistic. I've been to many meetings, hosted a few, & listened to 3-way phone calls for every brand under the sun. I've noticed a pattern, "I was destitute..., I sat where you are..., A friend told me..., I've lost __pounds... & I'm financially independent and you can be too, here's how ___ !" However when unlicensed professionals start using their MLM brand to diagnose & prescribe their most expensive kit, you have to step back and see what's really going on. Especially when some claims that it's holistic. *Note: MLM companies are governed by rules and they do not teach distributors to prescribe products. Disclaimer #1- This post is based off my 15+year experience in the MLM & holistic realm. 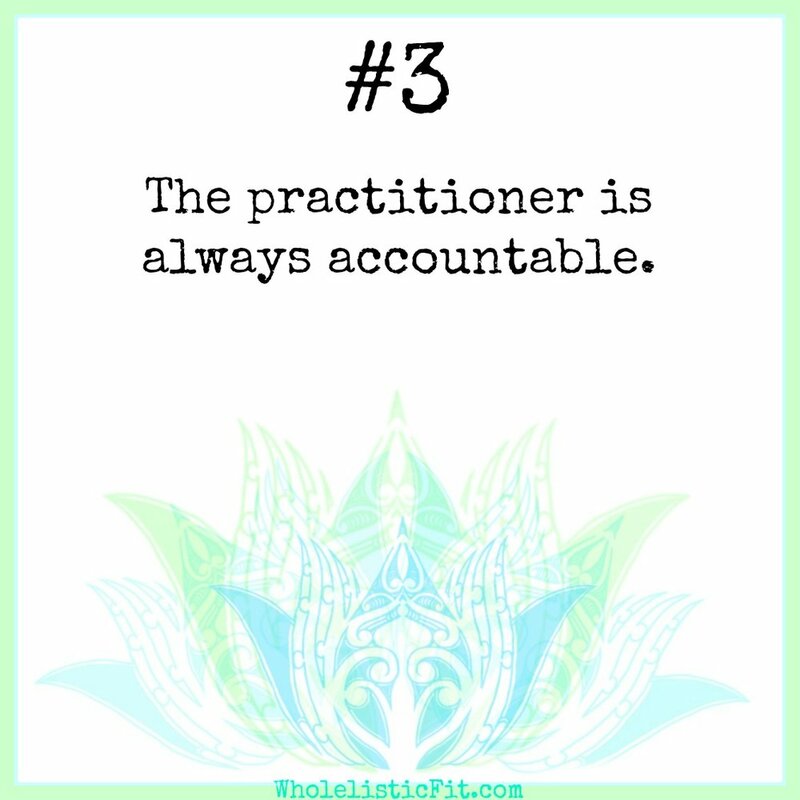 It is possible that horrible Holistic Practitioners [HP] exist but I haven't met that person. *You can read about my background here. If you wanted my full history, well that dates back to my Kupuna [great-grandmother] who practiced la'au lapa au, Hawaiian healing arts. Disclaimer #2 - I've met a lot of wonderful people through MLM networking groups. I connect with them through their professional attributes such as personal trainers, acupuncturist etc. Selling products is not their main focus, it allows them to offer simple solutions. Five reasons MLM's can not be considered holistic. HP's are motivated by experiences, a wrong that must be made right. Distributors are based off a no experience necessary. The company did the research and they need only to follow the cycle-of-success. Which is, ASK EVERYONE. Holistic practitioners don't want to eradicate the disease, they was to eradicate the lifestyle that caused the DIS-EASE. If you purchase from a distributor, chances are that they have NO IDEA about the science or how it will interact with your system. You'll have to call customer service, someone you don't know. Most MLM's have a script to simplify the sale. They're taught to listen to the pain points & offer the best kit. An HP is ALWAYS responsible for educating their clients. In fact they're life-long learners too. Mentorship or connecting to a group of other HP's is important. With technology new information presents itself daily. The distributor who sold you the kit or product is accountable for their numbers, potential clients & new enrollees. Also, the company can close their doors at any time. Zero accountability. In general HP's are socially empathetic to human suffering & want to offer an alternative. They're accountable to humanity. Many of these practitioners live or hangout in the community they serve. They'll shop at the local farmers market, fish or hike along the same trails. In other words they're intentional. The holistic realm is woven into the fabric of connection. We are all connected & service is key. HP's often give unto their last breath. They sense the urgency and will work at all hours to create a solution. Often leading into burnout. They're following the call to heal. Distributors are answering the call to "Fire" their boss and travel the world without a care. Earn more passive income then they thought possible. While holistic services can be lucrative, I've witnessed many working pro bono. 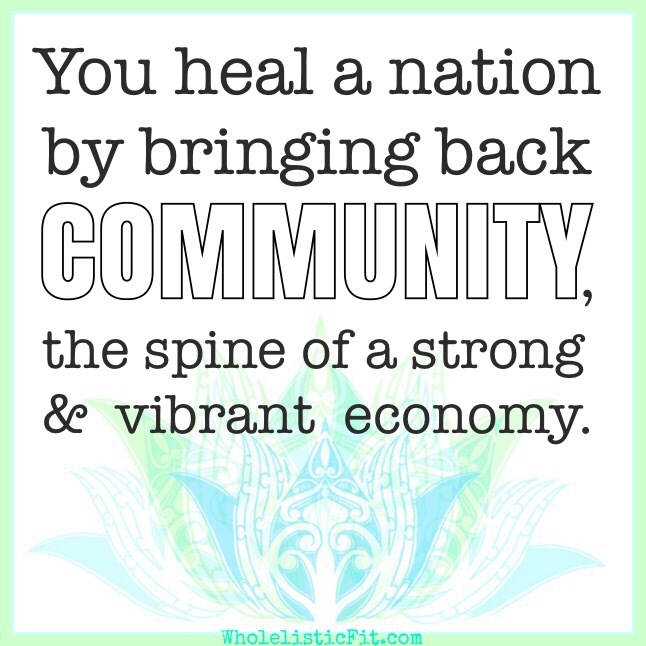 The call to heal holistically has its challenges. Why am I sharing this? Two reasons. First, I came across a post that read, "Just because you sell Advocare, It Works, Xyngular, DoTerra & the like... it doesn't make you an expert Kelly!" I don't know who Kelly is but that was hilarious. I can't remember the details but the person who made the post had a good point. The truth is that these MLM nutritional companies forbid distributors from diagnosing, acting as an authority or prescribing products, but that didn't stop Kelly. MLM Con's - They control everything & can close their business without notifying you or your downline. Cashflow, your enrolled organization and compensation plan can be altered without your permission. Also, you're required to sign a contract and make monthly purchases for a certain dollar amount or point value. MLM Pro's - Purchasing products at a discount, learning and earning is attractive. Each company differs but compensation plans usually include paid for vacations or vehicles. It makes shopping for nutritional products so much easier. It's usually online with video examples. There are great products, companies & opportunities, however do your own research. Don't buy just because your friend loss 25-pounds. Weight-loss is highly overrated, take your time & read between the lines. Is it affordable without using a credit card? Today the MLM we were previously with was purchased by another. We didn't follow protocol then or today, like I said earlier I fired my up-line. It's not about the sale, it's about the relationship. We're still using the products without pushing sales. If it happens then it happens. If not... life goes on. I spent Mother's day doing one of my favorite things, riding my bicycle along the Puget Sound. I created a new recipe. Unfortunately I don't measure anything, well I kinda do. I have various bowls and mason jars. It's typically two scoops and a bowl of this or that. I like to buy fresh and feel out the ingredients. Food inspires me. Mung Beans - after an hour of boiling the chickpeas, I gradually added each ingredient. Part 2 - The second dish is baked sweet potatoes & reds, drizzled in sesame oil and black sesame seeds. Part 3 - The slaw is purple cabbage with a mixed glaze of coconut cream, agave & black pepper. Part 4 - I rested the chickpeas with mango & coconut curry on a bed of alfalfa sprouts. Then topped it off with a lavender blossom for color. I'm sure you've noticed that our world is going through some major transitions. From the volcanos in Hawaii to unexplainable weather changes. I too feel the shift as I take a deeper look at what it means to walk in beauty. 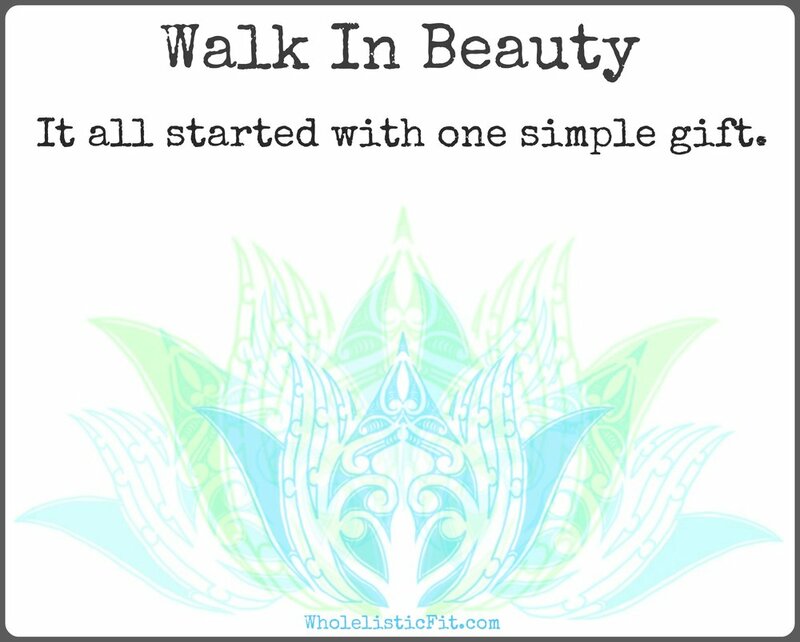 I originally wrote, "Walk In Beauty" and started this blog at the same time. Yet after a year I began to realize that WIB needs it's own .com so guess what? In June I will be launching WalkInBeautyLifestyle.com. I hope you're already a Mermaid as I share this journey with my newsletter group. Here are my TOP 5 blog post since I started blogging as WholelisticFit. If you would like to know more about me & what I look like, click here. Shhh... I'm also going to let you in on a little secret, I will be focusing more on Walk In Beauty and making a few changes to this site. Stay tuned. More information on the link below, PEACE Be the Journey. The Three R's of Spring! I'm sharing this because we become so busy, that we often forget to transition along with Nature. Moments of regeneration are important, and if you follow these simple steps it will help you start the season off vibrantly. As I take you through the 5 Tips remember that they're action steps. Be prepared to get up and do something after reading these. One more thing, you might notice that each step relates the Three "R's" to a physical space. The reason is that you can not obtain the value of rejuvenation, refresh or revival if your environment is cluttered. Part of holistic living is realizing that everything is connected. Birds start chirping, tulips pop-up and Nature is excited to shake off their winter blues. No more hibernation, it's time to enjoy the warmth. RECIEVE the joy and feeling of the earths rotation as it warms up the soil and plants voluntarily sprout new petals. SET ASIDE one day to prepare your home or a small space to reflect this transition. 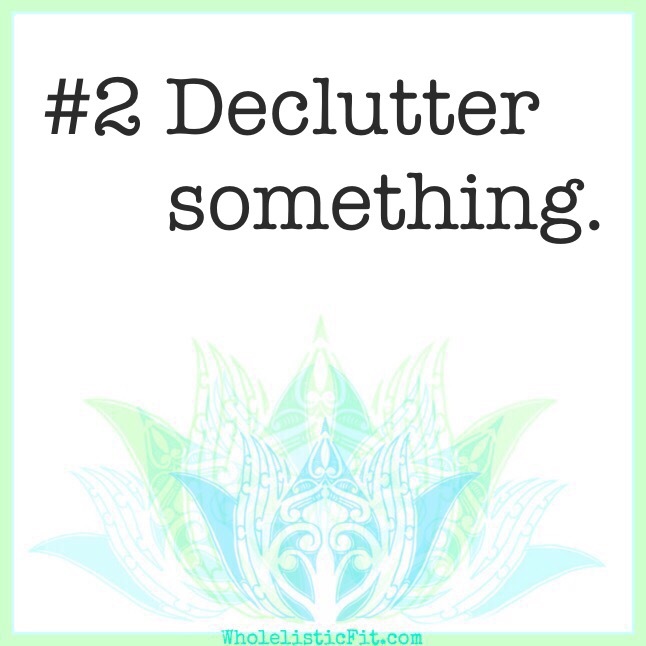 My favorite thing to do, because there are so many benefits, is get rid of clutter or organize something. You can start with a closet and pack away heavy sweaters, scarves and winter gear. IMAGINE clutter as both spiritual and physical weight, blocking the windows of possibilities. I wrote another blogpost about declutter called Subconscious Curating. Read more about it here. Bring some LIFE into your space, office, kitchen, bathroom, dining room table... you got the idea. FRESH plants offer an organic way of aesthetically pleasing your eyes and environment at the same time. Greenery & lights can turn any stale space into a place of revival. 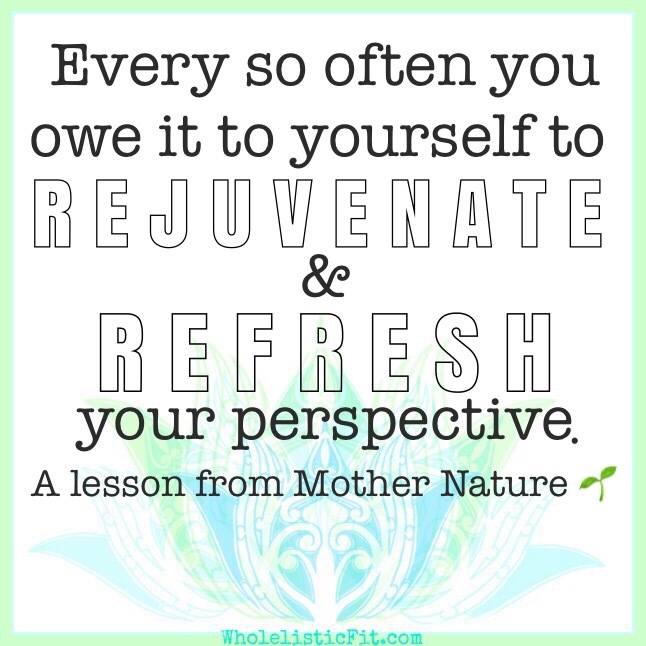 Once you've created a place to rejuvenate, refresh and revive, make sure you maintain it. This is so important. AVOID BURNOUT by visiting this space often, maybe sip your favorite tea. Having this space won't prevent problems but it will offer you a safe haven. INCLUDE art therapy, writing or reading, basically anything that inspires you can be included. The idea is to rejuvenate your MIND, BODY & SOUL. How does it feel to freshen things up in this space? Do you feel energy, new ideas or totally relaxed? Share your progress, I created the hashtag #SubconsciousCurating for moments like this. Keep in mind that you can practice the Three "R's" in any area of your life. Need to revive your fitness routine? Need a [re]fresh approach to meal prep and healthy eating? Need to rejuvenate a relationship? Ahh... spring is an amazing time for positive change. Quinoa steamed in my rice cooker, basically 1 cup Quinoa to 2 cups water. 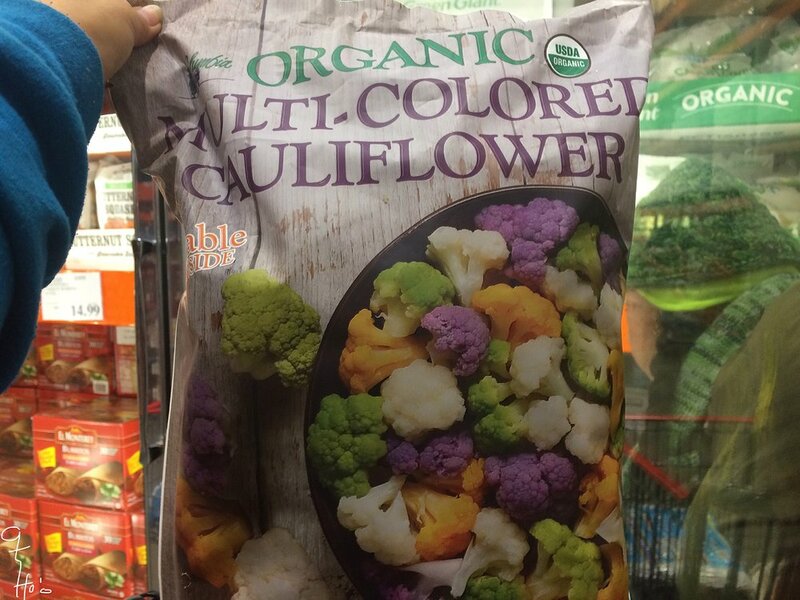 I usually prep 2 cups of Quinoa for the week. Dressing was super simple, avocado oil with Yakima smoked salt & crushed black pepper. Five  tips to keep your eyes on the prize! How many of us made a concrete decision to eat healthy, have positive self-talk, exercise more or quit something? [My hands are up.] Then we come to a fork in the road and our simple decision get's challenged, we adjust our choices to include an amendment. EX: I will eat clean in the New Year! Then something happens so we adjust. EX: I will eat clean in the New Year on weekday's! Again, we're challenged and we make another adaptation. EX: I will eat clean in the New Year on weekday's but only Monday and Wednesday. Here's where the fun begins, let's dive into the, "5 tips to keep your eyes on the prize." STOP! Breathe, and observe. Chances are that you already know what is getting in the way of your success. Is it a person, place, thing or any other noun? Do you have control over this particular situation? Is this situation in control over you? that person, place or thing is distracting you. Why are they or it allowed to distract you? For me it was my iPhone, all those push notifications, which I allowed to distract me. Children and spouse fall into this category sometimes. There are three categories that every distraction will fall into. Life threatening. This defines itself and I'm pretty sure that you won't need an example. Avoidance. [One of my evils.] When you do everything except what you should be doing. Out of your control. Not life threatening but it has put a hurdle in your smooth path. What other's do to you. Write a list of all the things that are important to you. What get's you up in the morning? Perhaps you feel compelled or called to complete a certain task. What is it? Maybe you want to complete a task that someone else started but didn't get to finish. 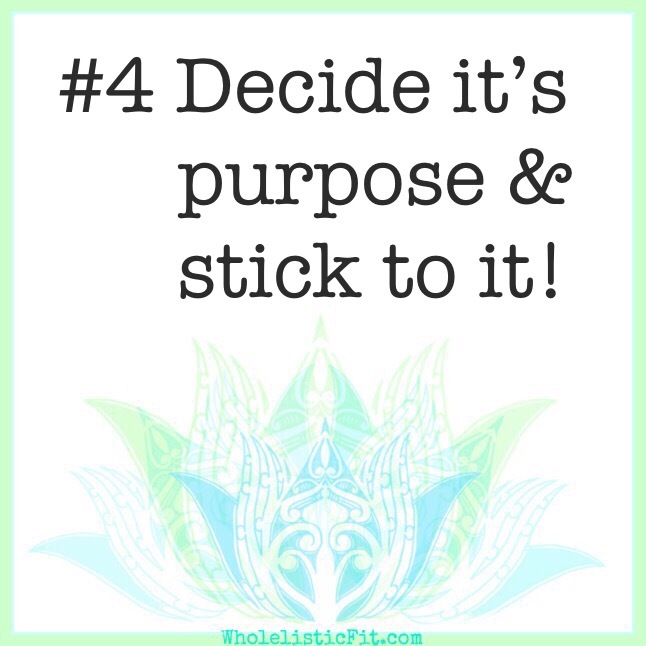 For every "WHAT" you wrote on #4 write a "WHY. " Here lies the heart of your motivation. If you lack inspiration or feel shadowed by discouragement, then this step is extremely important. 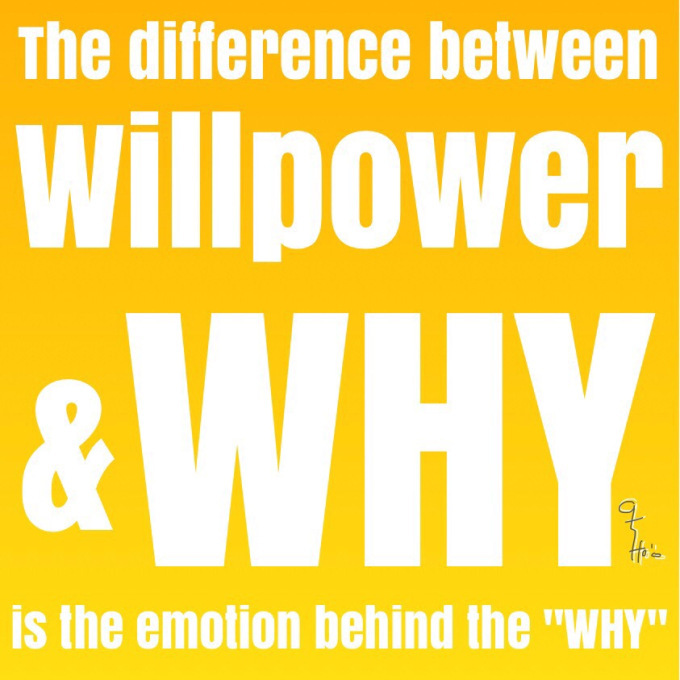 I wrote a previous blogpost called, "How strong is your WHY?" I'm doing a whole new series about FOCUS on my Instagram page. Using images that I've take to inspire the subconscious mind to persevere. 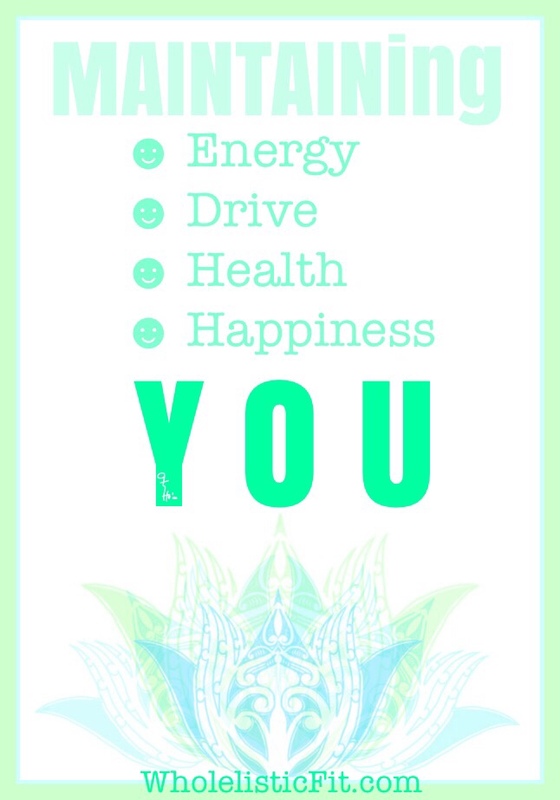 If you're ready to surround your life with awesome intention and focus join here. The best way to make sure that you've learned something is to go out and start teaching it to others. Share the 5-Tips with three other friends. Better yet, do the writing exercises with them. I've included a link below that you can click and it will send a message to your friends on twitter. Tell me about your experience with the 5-Tips, Comment below. I've been a self-care fanatic since I was young. Which was unusual for an 80's teen. I wrote about it before but basically I had a bad reaction to deodorants, which burned my skin, and there began my organic beauty journey, in a nut-shell. It wasn't until I gave birth that my self-care regiment became obsolete. I was lucky to get sleep, and long showers were a thing of the past. I fell off the wagon and hit the ground hard. Eventually I started to regain my rituals. Which started with me spending on quality products. The idea is to invest into your self-care, which your mind will internalize value. I'm not talking about shoes or purses but soaps, lotions and products that go onto your skin. Allow your skin to feel luxury. Not if you make your own. You can purchase basic ingredients that will last longer if you mix what you need. I love a good face mask but I can't handle the preservatives that goes into the store bought mixes. So I mix my own when I need to. Click here to see what I use. Below are a few pointers, five to be exact, that address how you can adopt you're very own self-care ritual. Recognizing your body as a fresh canvas, full of life. I LOVE turning mundane things into marvelous habits. Items on a tray looks more luxe, rather than laying it all over the place. Lavender & baby roses, great for baths and more. A few of my go-to oils that make self-care feel like an art form. Reading material that inspires me. Making calendula oils and salves is part of my winter ritual. Oh yes, you can have seasonal rituals too. The bottom line is that you have to invest time into reading, understanding and creating (or purchasing) items that promote the longevity of your beauty. Remember that we are on a journey to Walk In Beauty. Take back some time in your week to complete the ritual of your own self-care. Make it a priority! From one busy female to another, no one else will take care of you, unless you do first. Value yourself to make or keep a self-care, toxic-free, lifestyle. You've probably purchased a calendar or planner for the new year, now what? I'm sure I missed a few but you get the point. Today there's a plethora of products to boost your planner/planning experience, but is it necessary? Not only is it necessary but will it serve you? Now that's an important question to consider. Will the calendar + planner + accessories help you achieve your goals? Well, I plan to answer that. Before you shop for a planner or calendar figure out what you need. Try answering this question: What do I want to accomplish in 1-day, 1-week, 1-month and 1-year? Some planners offer weekly, daily or task management space. While other's are specially packaged like the "Mommy Planner" which has stickers that correlate to a busy moms lifestyle. I've noticed a trend in lifestyle bloggers and YouTubers who now promote their own planner. Which I think is awesome. [why] Because they're promoting what they use. I fall into that category. I started planning in the 1990's, can you believe it! I was homeschooled by my Mom & she gave me a black leather planner to write out my subjects and plan my workload. Yes, I'm a nerd through and through. As I got older I developed my own style and eventually a system. I'm going to share with you my system. Random picture, when someone asked me, "What's in your bag?" It's business mixed with creativity and health. Below are my 5 reasons to create a system. Turn mundane calendars into marvelous creations. I had fun with my sumo stickers. Personal washi-tape collection. And yes it's Totoro. The addiction is real, but it's my style. Find yours and don't apologize for it. My workshops usually involve some type of planning strategy. I even manage some art-journaling into my system. Purchase & download the eBook Walk In Beauty. Grab a empty journal or art book. Join me on Instagram and DM your group and email addresses and I will send you all the eClass "12 Day's of Beauty" for free. Then use #wholelisticfit or #hoomalamalama when sharing your creations. Time is what we all have, how you use it defines YOU. Investment into self-help tools & holistic living. Flexibility is the key to sanity, what to keep and release. Awareness allows you make adjustments and move on. Your words are indicators. What type of words do you use to describe your life, Ohana [family], relationships, job, business, children, body and opportunities? After all, energy isn't seen but heard and felt. That's the same with your words. We can't see them trickling out of your mouth but we can hear and feel its impact. Energy comes from within, what you speak your mind reasons, and the result is a belief. Maintain your words. This is extremely practical and hands-on. If you want to stay engaged and complete what you started with determination you will need these items: a planner, colorful pens or pencils and a few embellishments. It's called planning with intention. Before you can have DRIVE you must first develop DISCIPLINE and the easiest way is to bullet journal or plan. With all the wealth and wisdom in the world it's nothing without wellness. I've known ah-mazing healers who died too soon because their own personal health wasn't maintained. The MANA they carried needed a foundation. Regular sleep, clean water + clean eating and fitness aren't fads they're facts. 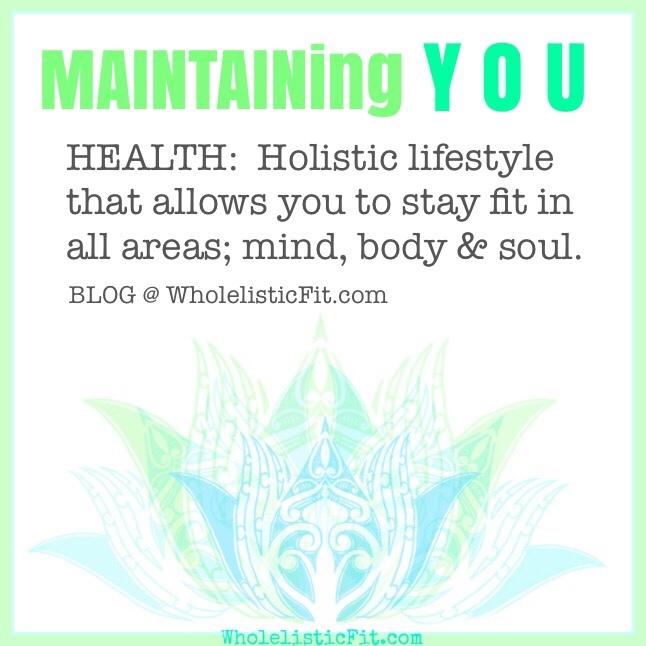 Holistic health is a whole living lifestyle. Authenticity is the result of a person who lives their word. What they say is who they are. Feelings and the energy they put out into this world aligns with their plans that drive them towards success. They are the masters of their thoughts and happiness is what they create. The best way to maintain this level is to practice gratitude daily. Grateful = Happy. If you're ready for change and want more, may I suggest my eBook, "WALK IN BEAUTY uncover its secrets & unlock your potential." I wrote about the 5 REALMS of BEAUTY and how it relates to you. This blogpost is a tiny summary of the 'aha moments' you'll receive in the eBook. The best part about my conversation with Kalani is connecting our knowledge from different sides of the Pacific Ocean. He's currently working on projects in Oahu and I've also included links for Shift Massage & Make Mahalo, because they deal specifically with two of the subjects I've mentioned. The goal of this blogpost was to light the way and give you tools. Become an influencer and Tweet out this message, invite others to join the Mermaid pod and read the blog. How to get over a fear of success. In order for me to write about fear I have to reveal a little about my journey. I honestly didn't think I had an issue with success. Until I had an interesting conversation with a friend. She looked at me and said, "You give so much, that I don't think you value yourself enough." My honest expression was "Huh?" So I sat with this comment and let it marinate within my mind. I didn't defend or deny it, I just reflected. Then I realized that what I didn't value was my success! Whoa... stop the press! How did I get to this place in my life? I had a real "aha" moment. I literally sabotaged myself to fail because success seemed too good for me. Pen in hand, I began a stream of conscious writing, a technique I learned from a good friend. This flow lasted for a solid five minutes. As I gazed down at my writing it revealed some of my inner struggles. It was as if my subconscious finally had my attention. So if you're dealing with lack of self-respect, inability to charge for your services or constantly wondering... "What happened to my goals and dreams?" This post is for all of us. I too had a fear of success that prevented me from reaching my potential. The 12 questions are from my personal experience. Notate any feelings or emotions that may arise. Have an open mind and willingness to finish the entire post. Trust me, this blog gets better towards the end. If you answered "YES" to any of these don't feel bad. Now if you've reached this portion and feel alone and overwhelmed, don't be. I can help in three ways. 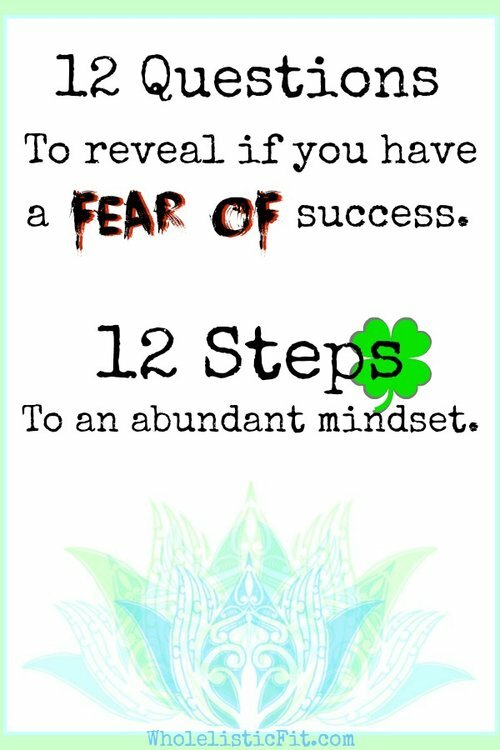 First, continue to read through the end of this blogpost for the 12 Steps to an abundant mindset. 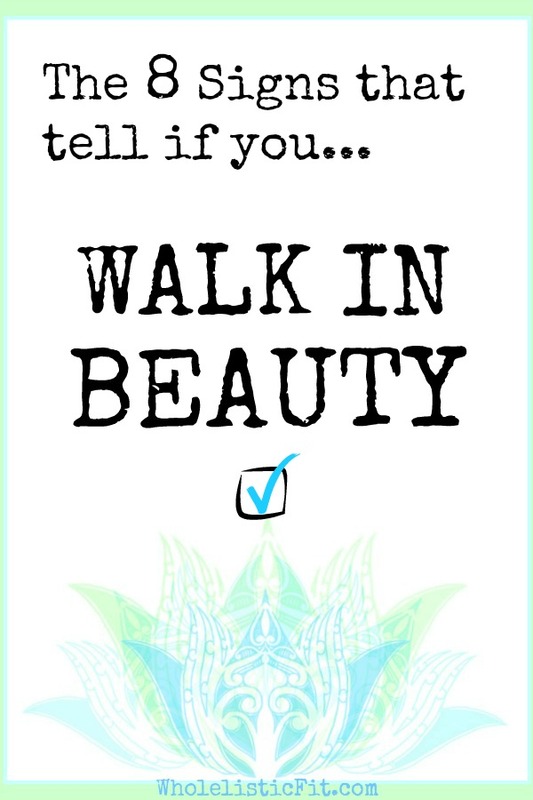 Second, read the eBook I wrote called WALK IN BEAUTY; unlock your potential. Third, become a MERMAID; join my email list because there's a possibility that you can work with me. 12 Steps to an abundant mindset. 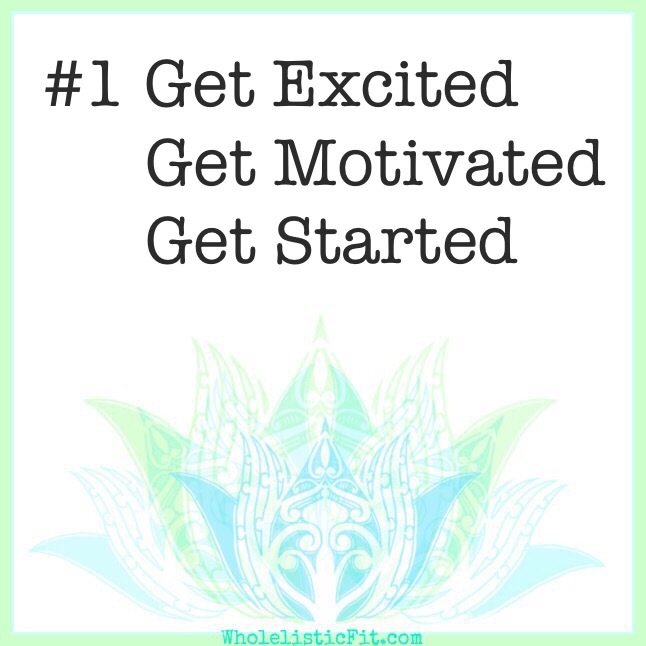 Be excited when starting something new and break down your plan into smaller steps. Sometimes we give up mid-way because the excitement can make us feel overwhelmed. Take time to write down your idea and create simple task. STOP comparing yourself! That's one of the worse things any human being can do. There's a saying in my home, "Your only competition is NO-ONE, just be your best!" You don't have to start every project that comes to your creative mind. Get a box and label it IDEAS then write them down with a date. Honor your creativity but don't get distracted. Have a place to revisit your ideas when you've completed what you started. Learn to say NO. Abundance doesn't mean that you're saying yes to everyone. Reserve some time in the day to honor your wellness. You can not reverse time but you can spend it wisely. You can not give from an empty cup. Make a habit of self-care and schedule it weekly. Abundance is a reflection of your inner and exterior health. Create rituals of motivation. It can be centered around your spiritual practice or keeping a gratitude journal. Because there will come a time when you have to draw from a well of inspiration. Make sure that you're filling that well, your mind, with good thoughts. 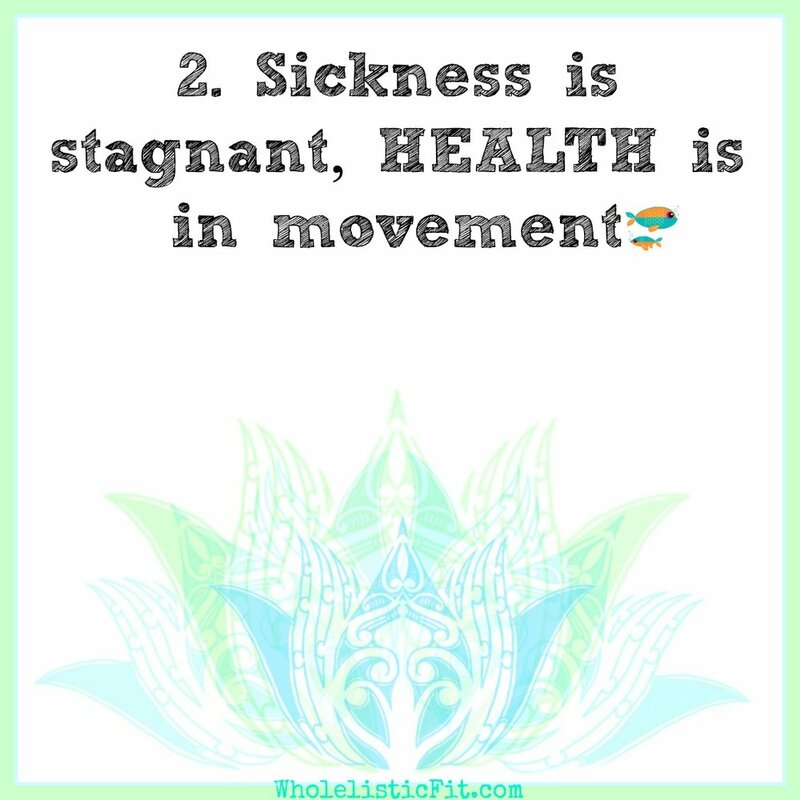 When feeling mundane... acknowledge it and do step #7. An abundant mind isn't void of sorrow or mishaps but it is equipped with tools of inspiration. When you realize that success made a detour don't stress out. History is jammed packed with individuals who met with opposition after opposition. Borrow their stories and use it to help you realign, adjust and reimagine your dream. Breathe. The opposite of fear is love and abundance. You can not change what you will not acknowledge. This awakening will allow you to embrace success. Your success! Failure is an indication that your dream is closer then you think. Keep moving, you'll get there. Just remember that you can always ask for help. Are you at a place in your life that you need a coach to reach the next level of success? Become a MERMAID to learn more about our programs. The benefits of working with a me is that you don't have to remember everything you just read. I'm creating eCourses, eBooks and programs for work/life balance. If you invest the time I will invest my attention to walking with you. Make sure you're a MERMAID. More about MAKE MAHALO planners click here. Learn about JOURNALs and writing as a holistic practice click here. Habits are always happening regardless of them being negative or positive. It becomes a part of our daily lives and we might not even notice our habits. Like the way you hold a pen, where you place your keys or how often you drink water. Even sloppiness can turn into a habit. Rituals, however are significant because it allows you to take a habit and make it soulful. By adding a few elements you can boost a mundane activity and turn it into "Marvelous!" 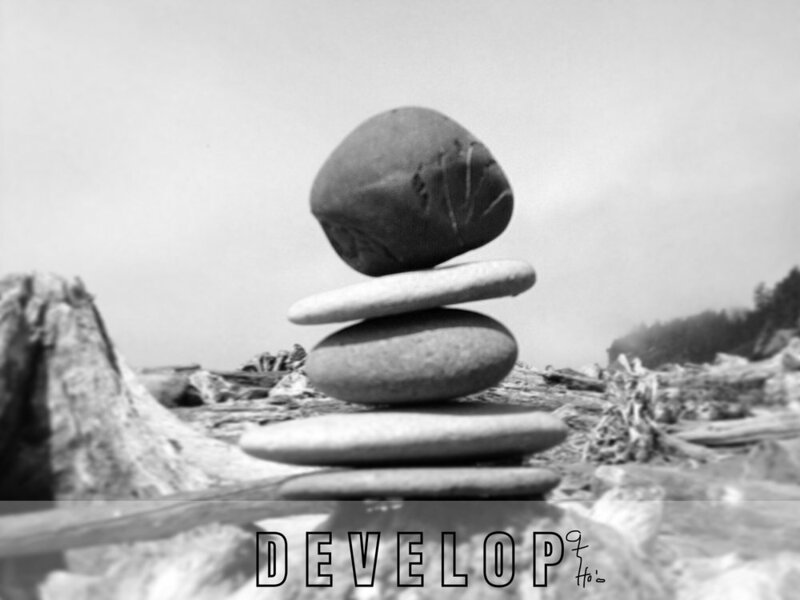 Living holistic is facing everyday challenges with the knowledge that you are creating a legacy. Everything you do today matters. There aren't coincidences because your life is filled with purpose which will guide you from the depths of your subconscious. That's why it's important to create a lifestyle that will support your subconscious. That's the holistic way of living. 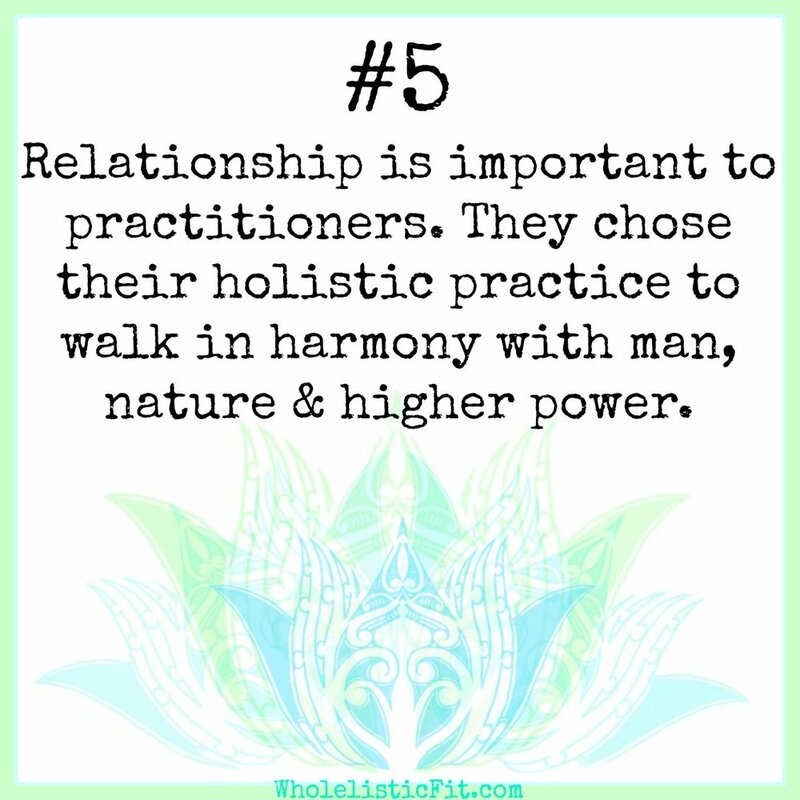 People who practice holistic living have one thing in common... harmony. The feeling that what you put out into the universe is full of beauty and light. These type of people are realist with a twist. The twist is that they may see negativity but they refuse to project it. I speaking from experience. Recently I was hanging out with a friend, whom I haven't seen in ages, and we both appreciate holistic, organic and entrepreneurship. My meet-up was interesting because her conversation was filled with frustration, dislike[s] and obscurities about our current president. Now I live in the same country and community which makes her realities mine. She wanted me to jump on the bashing bandwagon but I couldn't. [WHY?] I choose to emulate light. It's a tough road but worth it since I live with little to no regrets. Observe what is around you. Take the 'Unchangeable' list and LET IT GO. Use the 'Change' list and turn them into task. Tackle one task at a time. About a year ago I wrote an article and taught others how to create a space for their subconscious to thrive. You can read about that experience here. The benefits come over time and you might not even notice it at first. I really enjoy teaching others how to accomplish "Subconscious Curating." What type of habits are you proud of? What rituals have you created? Would you like to start a NEW habit or ritual? Grab the free printable and start tracking your success, click here. We live in a world of mass distractions. Some of them become part of a crazy cycle based on an un-finished TO-DO list. Imagine waking up in the morning and you have a clear picture of what has to be done. Than life happens... it's the evening and you find yourself laying on the pillow wondering, "Where did the time go?" By the way, did you complete that single task? No, because something got in the way. Day after day and night after night we feel the pressure of INCOMPLETION. Don't worry you're not alone. We live in a push-notification era. Our unlimited data lifestyle bombards us with so many distractions. We crave success but we really need is the ability to focus. Forget about planning for a minute and think about your ability to focus on your goals. How often do you have to stop what you're doing to help someone else? Have you ever had to put your work on-hold because of a text you received? Do you find yourself locked into FaceBook trying to respond to people? Well you my friend are dealing with distractions. Keep reading, there's hope. Want to learn how to schedule: food, fitness & self care? Was a landslide vote from my WholelisticFit FaceBook group. [Join Here] I asked them to suggest possible blog titles that they would like to read. I didn't answer their curiosity right away, in fact it took me awhile to break it down into its simplest form. Hmmm... why do we have problems sticking to our plans? After all is the plan faulty or are we faulty planners? I realized that it has nothing to do with planning but everything to do with what's going on around us. Our environment is why we fail or succeed at anything. It's like Resolutions. The idea of making a Resolution isn't wrong but it often gets a bad rep. We surround a Resolution with so much unfair expectation. I personally like resolutions but I keep mine pretty simple. For instance: Read positive words. Easily done because everyone I follow on Instagram [Follow Here] comes from a positive background. I see positive post by default. Now back to you, I have a few positive things you can do called STICK TO YOUR PLAN [STYP] SECRETS to share along with a few tips that you can use when scheduling. Learn your habits. Track what you do. Break down your plans into tiny task. Learn to make adjustments as you flow. Habits - Habits are what we do when we're not paying attention to ourselves. It's in our nature and part of our everyday choices. You don't have to think about it because it happens. For instance if I wanted to stop eating dairy I should look at the habit that I've formed around eating dairy. Perhaps I always walk down the ice cream isle, that's a habit, and grab a container as I shop. If you're failing at a particular part of your plan look at your habits. I suggest using a Habit-Tracker. It's just a way to mark your activities as they happen. Tiny Task - It's a psychological thing. We have to trick our minds into accepting the task and not sabotaging our efforts. For example: I plan to practice yoga at 6am three times per week but I can't seem to follow through. I did stick to my first day but the second and third session didn't happen. WHY? Because I stayed up late thinking I could manage it but when my alarm sounded I clicked the 'sleep' button for five more minutes. Realizing later that I over slept and decided to roll over and enjoy the extended nap. After all I'll get to it tomorrow... but the same scenario happens and I eventually give up the plan. *What I should have done is set up small task such as plan to attend one 6am session per week for a month then add a second next month and so on. Eventually reaching my goal, succeeding in my plan and adopting a NEW HEALTHY HABIT. Adjust - Much like my Tiny-Task example you'll notice that there was a an adjustment to the nature and flow of my yoga schedule. The plan wasn't bad but my execution needed some tweaking. As I've said before, "Tweak not twerk." Lol. Anyway, I had to train my self into a new habit by breaking down a big task into tiny steps. By accomplishing them I'm able to build my confidence and eventually tackle other projects and plans. Want more ideas on how-to-STYP? For PART 2 check your inbox. Not a member? Click on the link below. We save the best ideas, tips and content for our subscribers. PS: Our subscribers are called MERMAIDS because they're mysterious, marvelous and magical. They can do anything! Learn the process to track your habits. Learn how to categorize your priorities. Learn the creative way to de-clutter the mind. Soul Beautiful #01 Dealing with relationships that hold you back. 5 Steps to tell when a relationship is holding you back. Special MOM edition about living holistic and the 5 benefits.